Status is a 10 minutes dialogue based video with three characters in a café/restaurant. The conversation that is taking place is put together by separately chosen status updates from my own news feed on the social networking site Facebook. 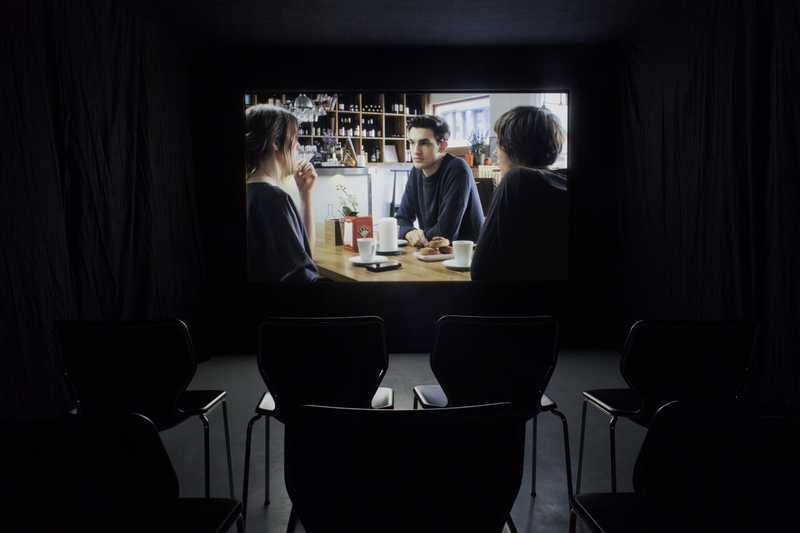 The film was made in collaboration with Lampray and shot in Umeå in march 2013. Thanks to restaurant Tapas (Umeå) for use of location. Dialogue in swedish, subtitles available on demand. Subtitled excerpt from the first two minutes below. Preferebly installed with a beamer in a black box.